Welcome to GaOba-Tech .................We helpsin website surfing and computers helps. Have you by chance or accident deleted some photos on your Camera, Computer, Flash Drive, Memory card, phone or anywhere? Or have you accidentally deleted your valuable pictures and they are permanently gone? NO! Maybe recently, you wanted to delete the last picture you took on your camera but by mistake you selected delete all option and I know most of you reading this post might have experienced something of this nature in the past. But I will say unto you don’t be anxious because there is a software that can be use to restore and recover them back. This software can easily recover deleted files such as photos, movies/video clips, sound/audio clips from digital camera, hard disk, sd card etc. With this software you will be able to restore inaccessible or formatted fixed drive. Handy Recovery™ is designed to restore files accidentally deleted on digital cameras, mobile phones, pocket pc's, mp3 players, mobile communicators, pda's, handheld computers and other devices that use memory cards. 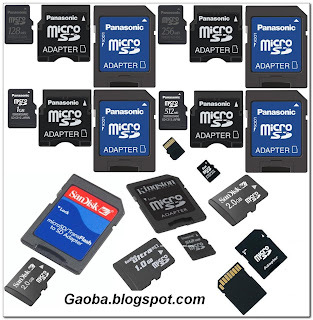 The program supports data recovery from memory cards manufactured by SanDisk, Kingston, Transcend, Verbatim, Sony, Integral, Panasonic, Toshiba, Olympus, just to name a few, including but not limited to Compact Flash, Memory Stick Duo, Memory Stick Pro, Memory Stick Pro Duo, SD Card, mini-SD, micro-SD, Multimedia Card MMC, Smart Media, xD Picture Card. Built-in algorithm allows to search for specific digital media files (RAW formats of various vendors, JPG, JPEG, TIF, GIF, RiFF, TIFF, AVI, PNG, BMP, MPEG, MOV, WAV, MIDI, MP3, QuickTime), if any system information about them is lost. Handy Recovery can analyze all memory card data and compare found information with the chosen file type layout. That helps to recover image files even in the most troublesome cases. How Can You Get This Software? Preview window to show the content of deleted files. among many other similar ones. In-depth disk scanning for certain files, including specifications by camera manufacturers. or files in some RAW formats. You can create an exact image of a logical drive for your memory card and save it to a special file on another drive. Later you will be able to open this image and recover files from it. It helped me get back my deleted files. Hope that it help you too!